There are several motivators for engaging in different bodybuilding exercises. The sport of bodybuilding is one that has inspired a lot of people. Many will hit the gym to achieve the desirable type of body for competitions like the famous Mr. Olympia. There are so many bodybuilders and actors out there who have inspired people all around the world to visit the gym and engage in various workouts. Getting that type of body is not that easy because you have to put in a lot of work. Apart from exercising, you can also use of supplements that will speed up the process of acquiring the desired body mass. You can check them out online, for example, Samento, which is cheap and readily available. This is one of the best alternatives to deadlifting that you can try. Commonly referred to as a rack pull, you must first load their bar with weights. They should be at your knee level. Also, keep the bar at a slight distance from your body. Make sure your back is straight as you lift the bar, assuming a position that will allow you to do so. If you’re interested in taking your training further, you could find a personal trainer who could help you to train as required and avoid injuries. 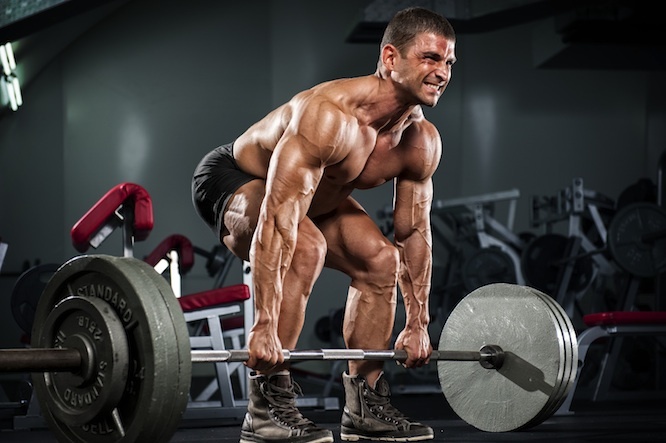 This is another ideal alternative to the deadlift. This type of exercise provides your body with the perfect body balance. It is quite similar to the regular deadlift, the only difference being that you have to do it with one of your legs. You can try out both sides to get quality results. Make sure your back is straight throughout the exercise. A great exercise, a few sets of these can help improve your hip movements. The reverse exercise can also help build strength in the upper parts of your body. It can be done on a flat bench. All you need to do is to lay down flat on one side of the bench with your face facing down and your legs on the floor. Raise your legs and hips slowly above the floor, before lowering them back slowly. This is another excellent exercise which can be done using a dumbbell. It helps stimulate the upper part of your body. Place a dumbbell on the outside of one of one of your feet. Gently bend, slowly, with your back straight, and lift the dumbbell carefully . You can do this for both arms and repeat several times if you feel capable.